In 1886, Peyton King sold this land to the Avondale Land Company, preserving it for recreational use. 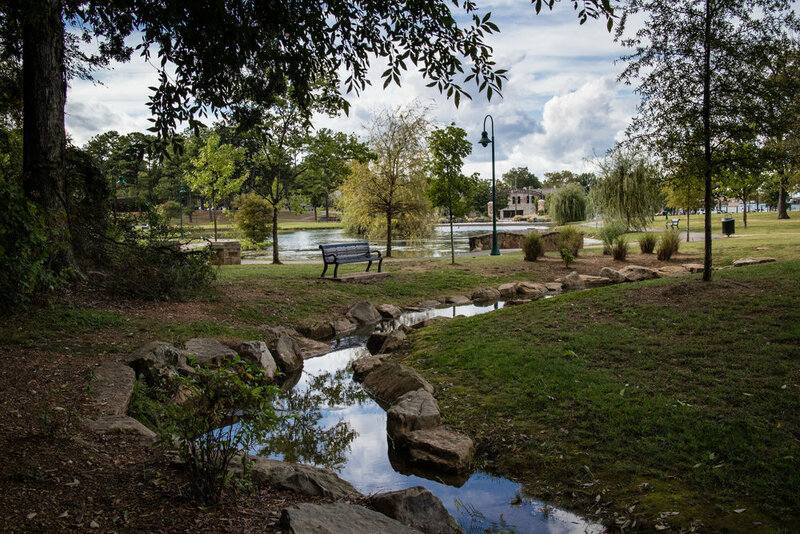 It's now the largest park in the city of Birmingham. The pond in the park is fed by King's Spring. The spring was hidden in a pipe in the 1970s, but the pipe was removed during a park renovation in 2011, and the spring's channel was reopened. This is my favorite of the parks I visited in Birmingham. I actually came back to this park a couple of times because it was so relaxing and there were a variety of different ecosystems to enjoy. This park opened in 2010. It hosts many events, but is also a nice park to just take a walk in and enjoy the water features.